SUMMARY: MAC ZOOM Lash is a volumizing mascara that sells for $18 for the full size and ZOOM Lash little MAC for $10, an airport-friendly, purse and travel size mini. LOOK: Defining and Lengthening. Makes lashes pop without looking like fake lashes, could skip bottom eyeliner entirely and eyes/lashes will still appear defined. WEAR: Without a cream or liquid foundation, I got about 5 hours of no fallout or smudges. With cream foundation, it lasted closer to 4.5 hours. COLOR: I got Zoom Black. The mini Zoom Lash mascara also comes in the shades beet, blue, green, plum, and gray. 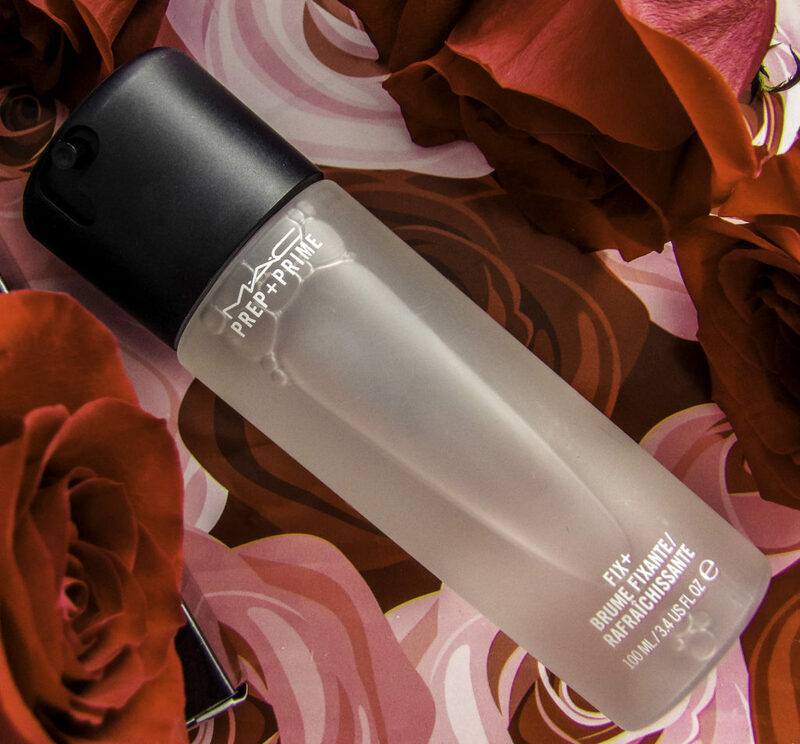 WHAT MAKES MAC ZOOM LASH MASCARA SPECIAL? The BRUSH. This is one of the selling points of the ZOOM LASH mascara, a special three-sided fiber brush geared towards lash separation, and the brush gets close to the lashline, so there is no tell-tale bare lash root and mascara starting line. The brush does exactly what it promises and gets right in close to the lash root. It looks like a regular brush, but it is not. 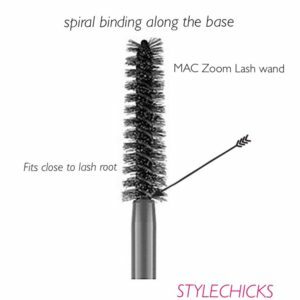 Examining the brush, you’ll notice a spiral binding like a coil at the base, it holds bristles snugly and makes deeper valleys between the bristled rows which allows the brush to get into spaces other brushes and mascara wands cannot. IS IT SLOW OR FAST DRYING? IS THERE FLAKES AND FALLOUT? RACOON EYES? After about five hours, it seemed to wear off somewhat and not look crisp, but I did not have raccoon eyes, it just sort of faded away without leaving large flakes on my undereye. DOES IT HOLD AN EYELASH CURLER CURL AFTER APPLICATION? Somewhat, I had some drooping of my lashes even after just one coat of ZOOM LASH, but not as much droop as other heavy hitters such as Benefit BadGal, Diorshow, Scandal Queen Fairy Drops or Fiberwig. The mascara does not feel heavy on the eye like some mascaras can. A solid mascara choice, especially if you favor using non-black mascara colors for a primary or secondary coat. 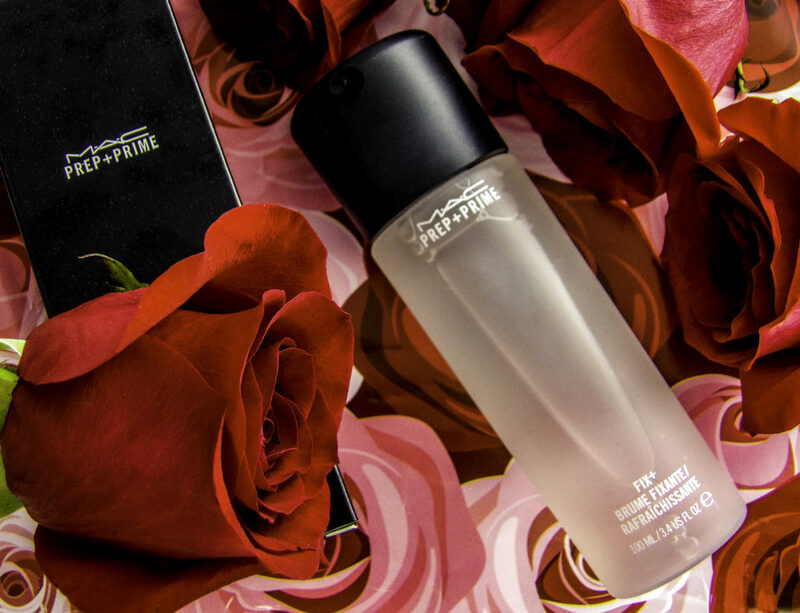 Lashes are defined and separated for about 5 hours, but it does not last the full work or school day without a mid-day touch-up, and it requires a touch-up to complete re-do for going out after work. But a saving grace is that it is a buildable mascara that doesn’t get clumpy with multiple coats, so you don’t have to remove it, you can just reapply, and you won’t get mid-day raccoon eyes. So if touchups don’t bother you, MAC ZOOM LASH Mascara could be a good choice for full, long, defined lashes.